Barbara Palk retired as President of TD Asset Management Inc. in 2010, following a 30-year career in institutional and investment management. She currently serves on the Boards of TD Asset Management USA Funds Inc., Ontario Teachers’ Pension Plan, First National Financial Corporation and past Queen’s University (Chair). Ms. Palk is a member of the Institute of Corporate Directors, a Fellow of the Canadian Securities Institute and holds the Chartered Financial Analyst (CFA) designation. Ms. Palk also holds a Bachelor of Arts (Honours, Economics) degree from Queen’s University and has received the ICD.D designation. Brian Johnson is a partner of Crown Capital Partners and of Crown Realty Partners. From September 1993 until July 2007 he was President and Chief Executive Officer of Crown Life Insurance Company. Mr. Johnson is a director of MCAN Mortgage Corporation and Western Surety Company. He was a member of the University of Regina board of governors from 1995 to 2002 and served as board chair from 1999 to 2001. He was also a director and Saskatchewan president of the Canadian Unity Council. Mr. Johnson received his B. Comm. (Gold Medalist) from the University of Manitoba and his M.B.A. from the University of Pennsylvania. He also holds the Chartered Financial Analyst (CFA) designation. Donald E. Clow FCA was appointed as President and Chief Executive Officer on August 6, 2009. Prior to joining Crombie, Mr. Clow held the position of President, ECL Developments Limited, the real estate development subsidiary of Empire Company Limited for two years. Previous to Empire, he was President of Southwest Properties, a real estate development company in Halifax. Mr. Clow graduated from Acadia University with a Bachelor of Business Administration and earned his CA designation with KPMG and was designated a Fellow chartered Accountant in 2002. Mr. Clow is a graduate of the YPO President's Program at Harvard Business School and the Director's Education Program at the Rotman School of Business receiving the ICD.D in 2014. Elisabeth Stroback is the former Executive Lead, Capital Projects and Real Estate for Ryerson University, Toronto, leading the design and construction of new buildings and acquisition of future development sites. Since leaving Ryerson in June 2016, she has resumed consulting through her company, Tanalex Corp., providing advice to private companies and public institutions on real estate matters, property development and public private partnerships. Prior to 1999, Ms. Stroback was President of Hammerson Canada Inc., a commercial property development company. She is a member of the Turning Point Youth Services, Property Committee and completed her term on the Renascent Foundation Board in March 2017. Ms. Stroback received her Bachelor of Arts from the University of Western Ontario and Master's Degree in Economics from Queen's University, Kingston, Ontario and is Human Resources Compensation Committee Certified (HRCC) from the Director's College. Michael Knowlton retired from Dundee Realty Corporation as President of Dundee REIT in May 2011 after 13 years of service. From December 1998 until May 2011 he held increasingly senior executive positions culminating in becoming President of Dundee REIT. Mr. Knowlton is a director of Tricon Capital Group Inc. and True North Apartment REIT. Mr. Knowlton received his B.Sc. (Engineering) and M.B.A. from Queens University, earned his CA designation in 1977 and his ICD.D designation in 2011. James M. Dickson joined Crombie’s Board of Trustees June 28, 2017. Mr. Dickson is the Chair of Empire Company Limited. He is counsel to the law firm of Stewart McKelvey, with over 25 years of experience practicing primarily in the areas of mergers and acquisitions, corporate finance and securities prior to his retirement from the partnership in 2016. Mr. Dickson serves as a director of Clearwater Seafoods Incorporated. He is the Chair of the Board of Regents of Mount Allison University and past Chair of the IWK Health Centre Foundation. Mr. Dickson holds a Certificate in Engineering from Mount Allison University, a Bachelor of Civil Engineering from the Technical University of Nova Scotia and a Bachelor of Laws from the University of Calgary. He is a professional engineer and was appointed Queen’s Counsel in 2010. Jason Shannon LLB is the President and Chief Operating Officer of Shannex Incorporated, a seniors living healthcare organization. Prior to this, he practiced corporate law with Stewart McKelvey Stirling Scales. Mr. Shannon graduated from Dalhousie University with a Bachelor of Commerce (1994) and an L.L.B (1997). He is currently Director on the boards of Atlantic Corporation, ITacit Inc., Atlantic Institute on Aging, Loran Scholarship Foundation, as well as advisory member on the Sobeys Pension Investment Committee. He is a Member of Nova Scotia Barristers’ Society and Member of Canadian Bar Association. Mr. Shannon previously was Director with Atlantic Institute Market Studies, Health Association Nova Scotia, Chair, Continuing Care Council and Member Nova Scotia Community College Foundation Board. While at Dalhousie University, Mr. Shannon was a three time academic All-Canadian and received the Dalhousie Climo Award, an award recognizing the school’s top male athlete. John Eby is a corporate director. He was Vice-Chairman of Scotia Capital from 2000 until his retirement in 2006 and for 10 years prior thereto had been Senior Vice President, Corporate and Energy Banking, The Bank of Nova Scotia. He is also a director of Wajax Corporation. Mr. Eby received his BA and MBA in finance from Queen’s University. Mr. Eby is the founder and Chief Executive Officer of Developing Scholars, a not-for-profit organization that promotes educational initiatives in Guatemala. Kent Sobey is founder and President of Farmhouse Productions Ltd., a television and digital media production company. He is an active private equity investor in commercial real estate and media. Mr. Sobey is a corporate director of Blue Ant Media and Hollywood Suite. He also serves on the Board of Directors of The North York Harvest Food Bank. Mr. Sobey received his Bachelor of Arts from Dalhousie University and also graduated from Vancouver Film School. Mr. Sobey has completed executive development at Rotman School of Management and Queens University. Paul Sobey retired as President and Chief Executive Officer of Empire Company Limited in 2013 after 32 years with the company. He received his Bachelor of Commerce from Dalhousie University, attended the Harvard University Business School, Advanced Management Program and is a Chartered Accountant. Mr. Sobey became a Fellow Chartered Accountant of Nova Scotia in 2005. Mr. Sobey sits on the boards of Empire Company Limited, Sobeys Inc. and the Bank of Nova Scotia. Mr. Sobey is Chancellor of Saint Mary's University in Halifax, Nova Scotia. Paul Beesley is the Executive Vice President and Chief Financial Officer of Empire Company Limited, and is currently a director of Genstar Development Partnership. 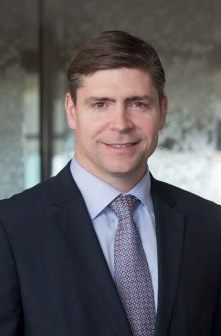 Prior to joining Empire Company Limited in 1999, Mr. Beesley was Vice President and Chief Financial Officer at The Globe and Mail in Toronto for four years. Previously Mr. Beesley worked for Delrina Corporation, Toronto, and with Sunoco and Suncor Inc. in Toronto and Fort McMurray. Mr. Beesley graduated from Dalhousie University in 1979 with his Bachelor of Science and obtained a Masters of Business Administration at Saint Mary’s University, and his Chartered Accountant designation, in 1984. In 2006 Mr. Beesley completed the Advanced Management Program at Harvard University and in 2011 received the ICD.D designation.